and efficient proofing. Please read the step-by-step instructions below to learn how to provide feedback. Open the 'New Proof' email you have received from WOW Factor. 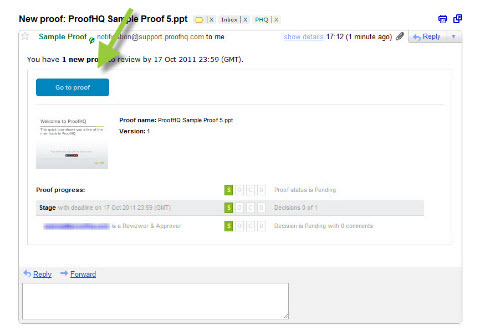 Click on the blue "Go to proof" link*. browser and open the proof in a new browser window, called the Proof Page. Click on the orange "Add Comment" button. Type your comment into the comments box, or add a mark up as per below. 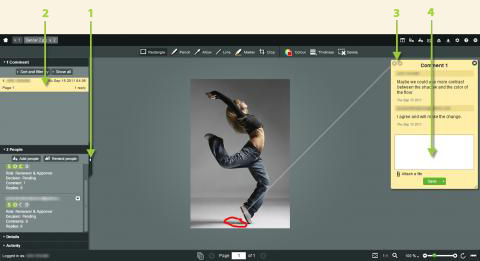 To add a mark up, you can: use the Rectangle tool to draw a box, the Pencil tool to draw freehand, the Arrow tool for call outs, the Line tool to draw straight lines, the Marker to draw a shaded box, and the Crop tool to indicate a trim area. Click the green "Save" button when finished. If needed, click the tab to open the Sidebar. In the Comment list, click on the comment you wish to view. To navigate multiple comments: Click the right/left arrows in the Comment window to view the next or previous comment. Click and type in the text field in the Comment window to reply to a comment. Click the green "Save" button when finished. When you are finished adding comments, replying to WOW Factor's comments, and making mark ups, it is time to submit your decision. Click on the green "Submit Decision" button. 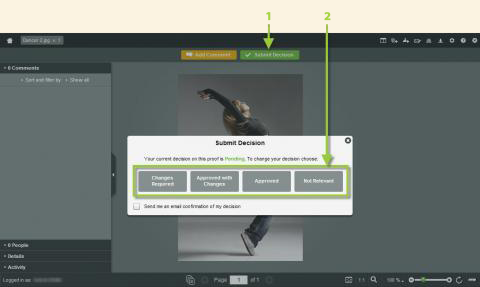 In the Submit Decision box, click on the appropriate option*. You're done! *NOTE: To receive an email confirmation of your decision, be sure to check the box before clicking on your decision.